Horses and humans have been partners for thousands of years. It is this relationship that gives respect to the horse, for its capabilities and its willingness to carry us, remembering that its instinctive nature is as a plains animal and not a domesticated one. 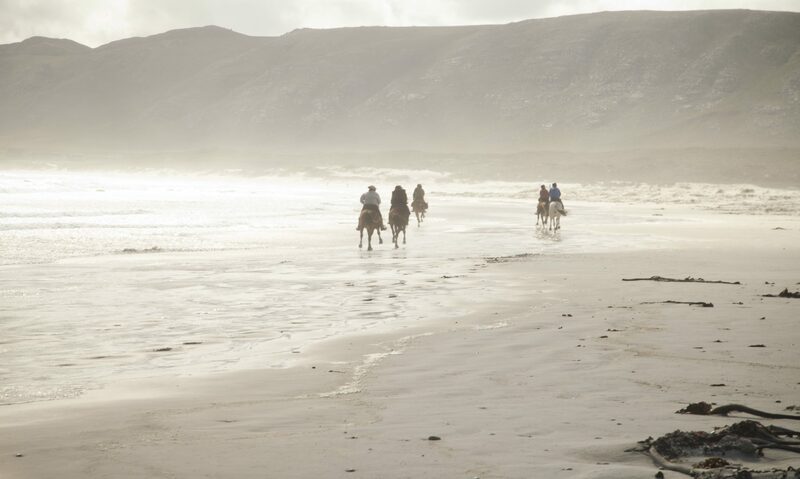 Based 180 km from Cape Town, in the Western Cape’s unspoiled Overberg, the African Horse Company offers multi-day horse trails and out-rides of an hour to the better part of the day. On offer are 1-6 hour beach and mountain out rides and 2-10 day overnight trails catering for beginners to advanced horse riders. African Horse Company is owner managed. Trails are guided by Howard Krut with the assistance of Randal Flores. Guides are local residents with good knowledge of the area, its flora and fauna. Guides are experienced riders and are trained in first aid.